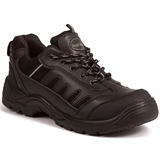 Take a look at our new and extended range of fabulous safety footwear and discover a better way of protecting the feet of you and your staff. 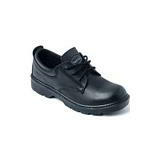 It doesn’t just do the essential business of keeping your feet safe from the dangers inherent in every warehouse or factory, it also offers unmatchable value and can be delivered to your workplace the day after you place your order. 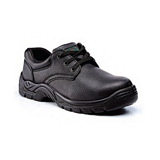 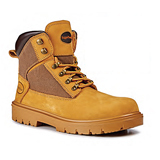 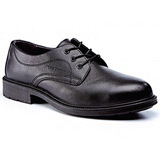 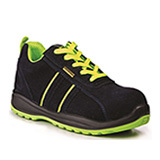 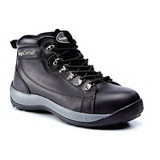 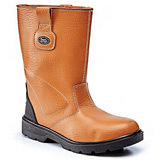 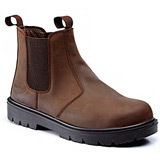 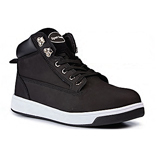 The range includes the kind of tough steel toe cap boots workers have used for years, but these days you can also get stylish shoes and trainers that do exactly the same job. 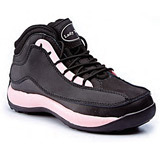 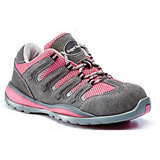 Nor do they need to be brown or black in colour, as the fashion conscious can choose from a selection of colourful options, including our pink safety trainers – surely the ultimate in warehouse chic! 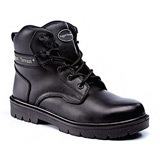 If you’re working in an environment where there is a possibility of feet being crushed from above or punctured from below, and that includes pretty every factory and warehouse in the country, you need to have protective safety footwear. 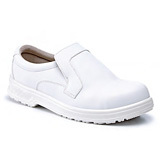 Each product in this range conforms to the relevant European standards and all have 200 Joule steel protection, making them totally safe and fully compliant with current legislation. 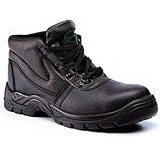 For good measure, our steel toe cap boots, shoes and trainers are also extremely comfortable, competitively priced and, in a few notable cases, absolutely oozing with style!